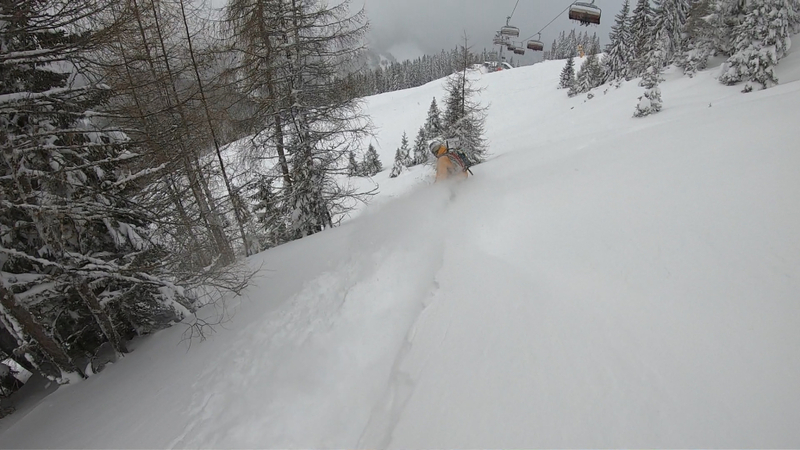 PowderAlert #8: more snow for the northern Alps! All resorts in Austria in or and north of the main alpine ridge have to deal with an avalanche danger that's HIGH (4 on a scale of 5). This is truly unique and is very rare. With the snow that now is coming in from the north, the avalanche danger in the East of Switzerland has also increased to HIGH. There are crazy amounts of snow in large parts of Austria (especially for the beginning of January) and it doesn't look that it's going to end soon. The differences in the Alps couldn't be greater, becasue only the east of Switzerland has more snow than normal, but the snow cover is thinner than normal in the other regions in the Alps (west of Switzerland, French Alps and Italy). The reason that Austria has so much snow at the moment is all due to high pressure area Angela. It has been situated above the Alps since Christmas and forces storms to find a detour to the Alps. Because Angela is constantly sitting above the French Alps, the supply of storms from the west and south is blocked. At the same time, the storms succeed in reaching the Alps with a north to northwestern current. The result is a succession of storms that continuously ensure new supply of snow. Angela will position itself a bit further to the west the coming week. As a result the snowfall will not only be concentrated on Austria and the east of Switzerland, but you can also expect snowfall in the west of Switzerland and the French northern Alps. The entire northern Alps, including the French northern Alps, will get fresh snow next week. The French southern Alps and Italy, like the southern regions of Austria and Switzerland, remain dry and sunny in the coming week. Pity, because they could use some snow over there. As you can see: powder is a choice. Now that the Christmas holiday is over, the peace returns to the Alps. It's no longer necessary to book early. It is not crowded in the Alps until the beginning of February and with these tips you certainly score untracked powder in the coming weeks. Patience is a good thing, but whoever follows this 10 step-by-step plan certainly finds the way to the white gold. PA #7 is in effect until Tuesday. It's still snowing heavily on Sunday, but the intensity of the snowfall decreases on Monday and the sun can actually get through. It is nice and cold and the snow is of good quality. A new storm is coming in on Tuesday. Because the high-pressure area is now somewhat more to the west, the snow will also reach the northwest of the Alps. This will improve conditions here, but it won't be epic in an instant. The new snow falls on an old layer (pay attention to the rising avalanche danger) and there is little snow between the trees. As wePowder Pro you get access to the 14-day snow and weather maps and the 14-day forecast per resorts (we've got all the resorts in the Alps covered). You never have to miss a dump anymore. When you are wePowder Pro you also have access to 1000+ inspirational freeride routes in the most beautiful freeride areas of the Alps. Sign up as wePowder Pro today. It works great for your karma as well and you'll support the development of the wePowder platform! Thanks! Wow! It keeps coming down. Hope its not to much.. we will be hitting the Zell am see area Friday. Looks like We are going to hit the jackpot if the lifts and roads are open. Fingers crossed! Thanks for the image of Zell! We'll arrive tonight in Kitzbühel and consider heading for Zell tomorrow. How far down was the snow quality sufficient? We are a bit concerned about hitting wet mud instead of fluffy pow. I'm kind of "disappointed" because of the "bad" snow situation in Austria near the Innsbruck area. There has been many days when it has been just too much snow to ski (tour) up with splitboard, but today was the first day during that 28 or 29 years I've been snowboarding that I just couldn't get it up. I mean the board - it was just so incredibly deep that board was not willing to flow. I had literally shovel my self away from the forest and go to have some beer and try again tomorrow. If the new storm hit with that same force this is kind of unique situation. There has been naturally more snow earlier e.g. during past 10 years at least once, but that amount of (good) snow with this short period, snow level as low like now and it is only some days when the year has changed. The mountain on "my backyard" usually never gets lot of snow during storms because of the really strong Foehn wind, but today there was approximately 1,5m fresh snow in some places in the forest. Still, even it is quite unique now - safety first. Winter has just begun, no point to end life because of that. Flachau on the 4. January. What do you recommend in Tyrol in terms of tree areas not so elevated for vis? Hey Morris, been following wepowder for quite some time now and I have to say that there's nothing like it. Your forecasts are always spot-on! i've had many epic trips thanks to you sharing your knowledge. Keep up the amazing work. One question: Could you tell me the sources of the first two maps in this post? Snow poor below about 1000 meters today. Snow above soft but not very light. Haven't been able to find much side piste. Still fun. @akimäkitaipale Still, even it is quite unique now - safety first. Winter has just begun, no point to end life because of that.akimäkitaipale op 6 Jan 2019 18:41 Wise words, thanks for sharing them! @gdkp, nice pic. What board are you riding? @Powstria, almost all resorts with trees are good at the moment. Even the resorts that are not well known for their tree runs. @8611 more to come. Not every day can be the best day in your life 😉 Thanks for sharing your report. Still fun! Guide tomorrow, I think if he knows to find safe untracked will be great. Speaking of trees and Austria, it should be noted that riding in forest is not allowed in some resorts that cross natural reserves and is at least discouraged in some parts of others under the the "respektierre diene grenzen" initiative. Tauplitz surprised me in that this is not marked in terrain (unlike, say, Flachau) but only on the resort map (both paper and online). So not every resort under the tree line is suitable. thanks. thinking of this upcoming weekend coming from paris...road trip and want to get somewhere with the snow forecasted sat night/sunday where we can get some visibility. 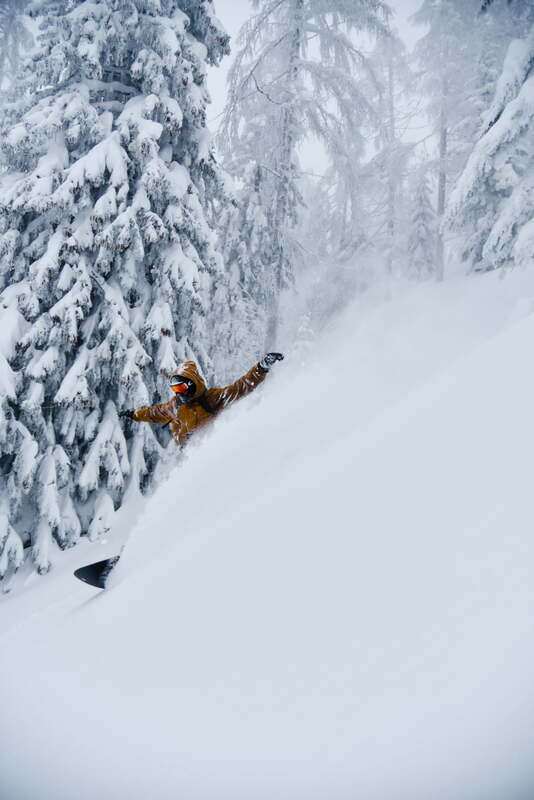 any other ideas of where there is enough base in the trees now or after this midweek snow and then get some more pow this weekend? Cant really drive too far east for 2 days of riding and get back to paris by monday am.......any insights would be GREATLY appreciated!! Ecsjones, yes tschiertschen and Lenzerheide one day each, 20km between 2 resorts. 1.30h driving from Zurich. thanks guys. this area is on the list for a longer trip as its 8 hr drive from paris. looking to stay at 7 hours or less for a 2 day road trip...weekend warrior style!!! would you recommend Haldigrat Morris if the lift is open?